Last night a barn friend and I attempted a little photo session. 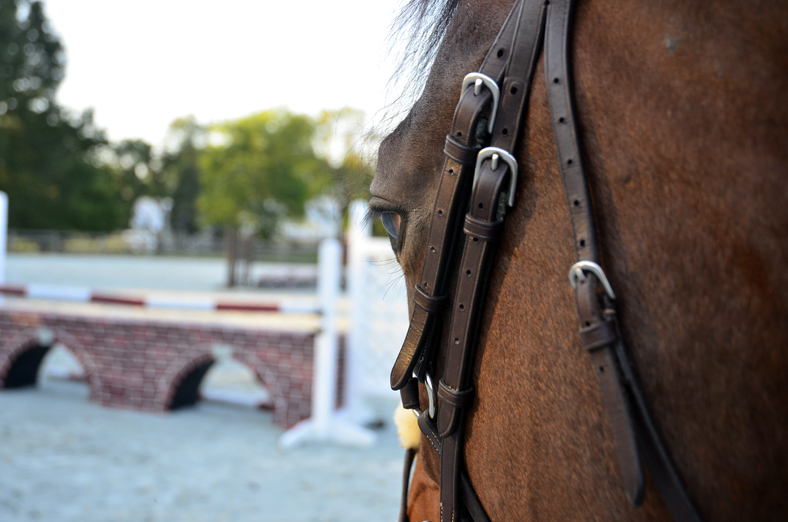 She is thinking about selling her horse and I offered to take some photos of him over fences. So we set the fences up to some decent heights (3′ to 3’6″) and got going. Over the wall we go! 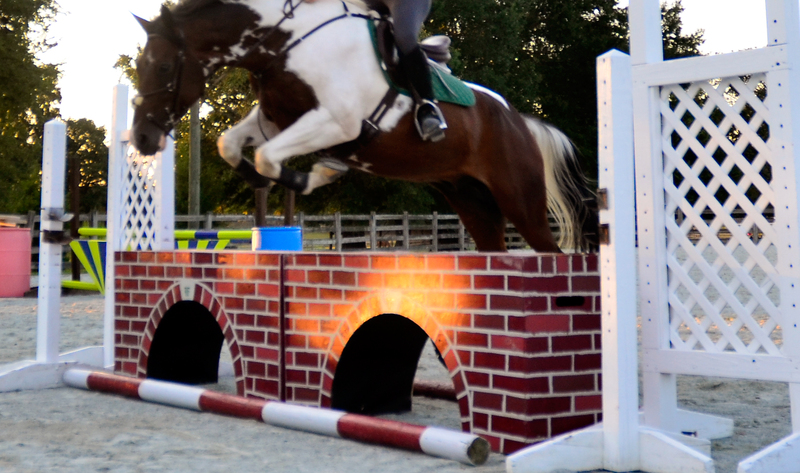 Cropping so you don’t have to witness my icky equitation! We got a few more photos and I seriously need to get it into my head to stay up when we lands! It was killing me to see some of them afterwards *cringe*. But that’s why these things are so helpful! I want to school some jumps again a little later in the week so I get a good feel before the cross-country schooling over the weekend. And in the land of dressage, Foster has been making some serious progress with his lateral work. We’re starting to stay soft through the leg yields, and our shoulder-in’s are not as heinous sticky as they used to be. Still need to work on lengthenings and getting clear transitions between the working and lengthened gaits. Otherwise no complaints at the moment! Thats how I feel right now with my current horse, I need to learn to stay up and out of the way. It’s been hard to remember because we focus so much on the approach that we forget about the landing! Always something to work on. Good job on the wall! I always think pictures and videos are sooooo helpful to see what you’re doing wrong or even just little things to work on. So true! I’ve been getting a lot of this kind of ‘visual feedback’ recently and I am starting to feel the difference in my riding for sure! Look how cute he tucks his front end! And yes, visual feed back always makes me cringe but it also makes me push to be even better, and really solidifies what I need to improve on!